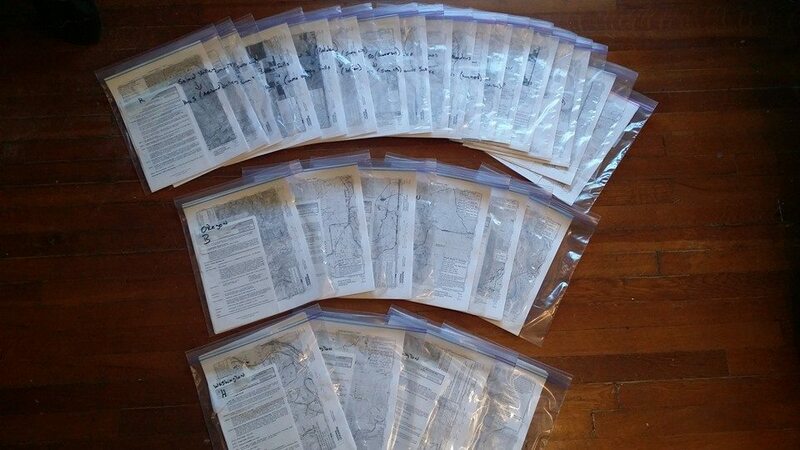 I literally spent most of Sunday putting together my map packets. These are each a lettered section of Halfmiles maps. I then decided that I would toss in the Yogi’s town guides along with these because I like having info on towns I am going into (however, I do not treat anyone’s town guide as gospel, Yogi did not mention any brewpubs and those are my favorite places in the world), I am going to be on a mission to get to post offices, grocery and resupply and find a place to get a burger and a beer. I absolutely don’t want to go in blind and waste my time. Here is what your packets look like; in the image below the top row is California, the second row is Oregon and the third row is Washington, in Washington the sections and map sections are pretty slim so I combined the last packet into one. So, there are 31 sections, each section is very roughly five days, so you have 155 days here. Most of these will be mailed forward in resupply boxes. My current resupply looks like about eight total for California, then I will have one mailed to each Ashland and Cascade locks where I will make resupply and mail them out for Oregon and Washington respectively. So, ten total resupply boxes, nine regular flat-rate boxes and one large (flat-rate?) for my bear can and micro-spikes. NOTE: I realize that there are some hikers who feel they are above the guidebooks, but this is just silly posturing as far as I am concerned and it maddens me to see them recommend new people don’t look at them. Everyone has an opinion on the guides hike your own hike and use everything at your disposal, I personally would rather have more information I don’t need, than less. I got my PCT long distance permit and I am still waiting on my Canada entry permit, I really hope it shows up soon as I am feeling I may need to contact them to verify they got it. I am waiting on my PLB registration sticker as well, though that is less vital than the Canada entry permit. 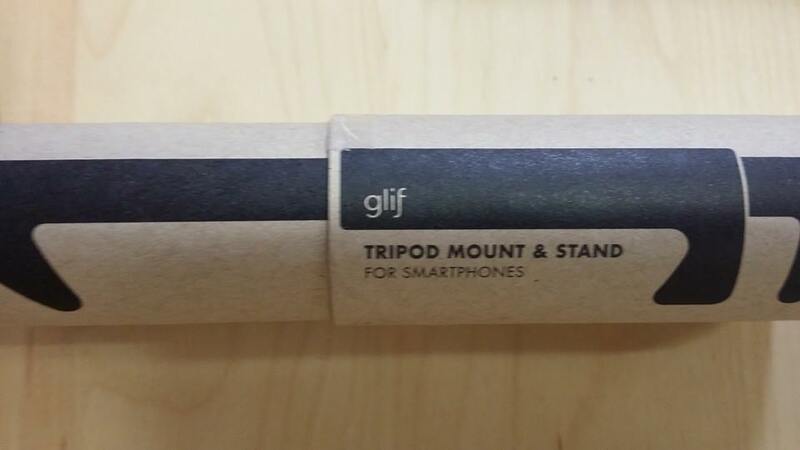 I have decided to add two pieces of gear to my pack, one is called a Glif and it is a lightweight mount for tri-pods (and my stikpic) which fits smartphones. Here is the box it comes in, and in testing it works good. The video there shows more info. The other is a Golite Chrome dome for the desert section. I realize that yes, I will indeed be a grown man carrying a ‘parasol’, but jokes aside I will be walking through the Mojave desert and there are some brutal sections there (runners wear full sun suits in the ultras out there). Keeping the sun off me means I sweat less, if I sweat less I don’t have to carry as much water, which means I move faster. That is the theory at least. Here is the Golite with office dog ‘Dingo’ checking it out. For the trip I really have two things I need to get still, one is my sleeping bag from zpacks which is taking longer than expected (a month now, just sent them an email) and the other is my Canada entry permit. Then it is about food and possibly seeing if I can live without some things I have put into my pack and/or replace with lighter versions or more minimal versions, though I have been doing that for months now. And the last item, California needs rain really bad, like we are going to cook out there if we don’t get any rain. Luckily as I was buying my umbrella two storms are stacking up to come this way. Hopefully it will help, though it can’t do too much, it should lift some of the pressure off water sources. 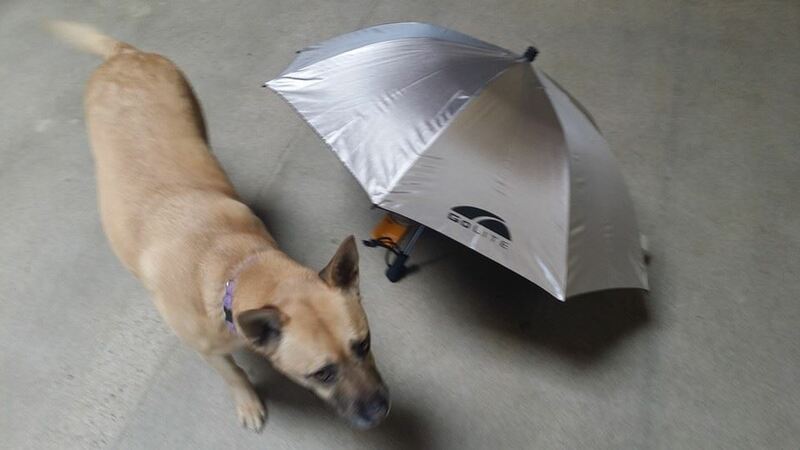 This entry was posted in pct and tagged gear, planning on February 26, 2014 by joeldg. No idea, I only have a phone. If others are having issues let me know.